Wireless – IPC « Ezra^3 – let's make things happen. This is an addendum to Wireless Duplex – IPC. 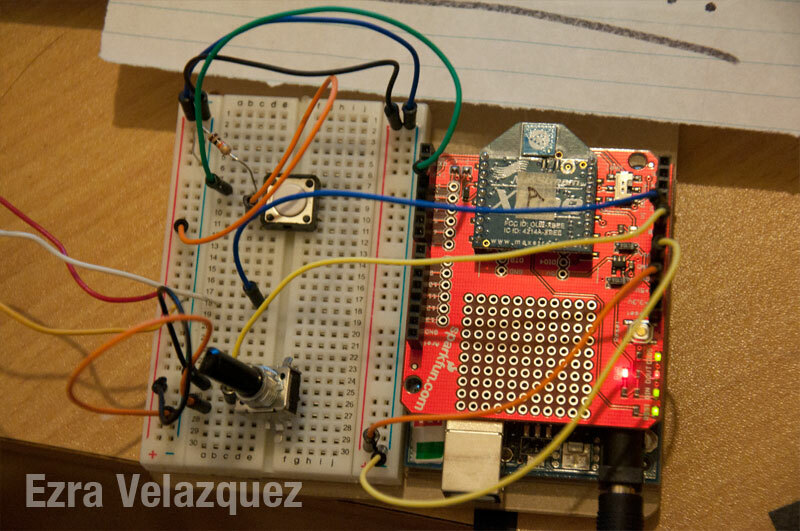 With serial communication, there is a potential for users to change the Processing sketch. A limitation that came up quickly in my mind was having a wire between the Arduino and the computer. It would be nice if there was an ‘invisible cable’ to connect both devices together. Thankfully, there is; its called wireless. 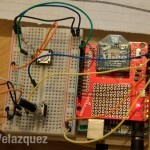 (1) XBee Wireless Shield – also possible to use just a XBee breakout board. 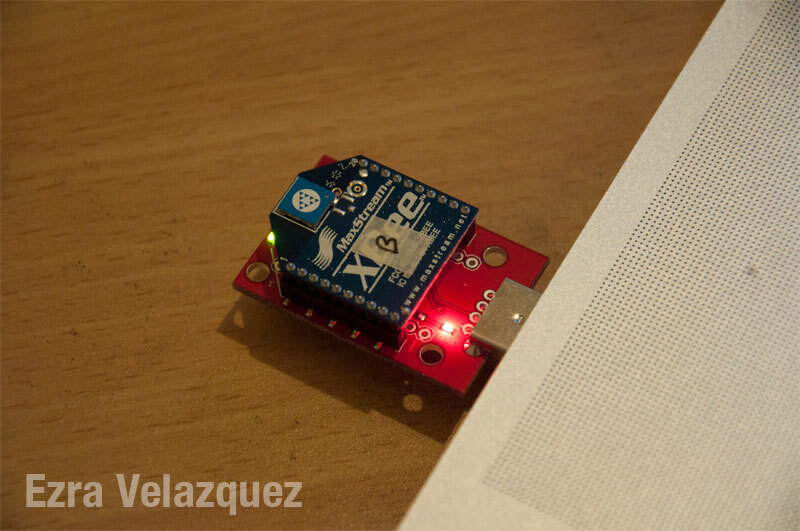 An important thing to note is that the XBee works at 3.3V, and if given more it will fry. The USB Dongle and Wireless Shield have the regulator built in, but if I was to use the breakout board, I would either create my own regulator or us a prebuilt voltage regulator board. In order to get the XBees to talk to each other, I used Tom Igoe’s XBee Serial Terminal for Processing. It was also highly suggested to use CoolTerm (free). Once the XBees are setup to recognize each other, its ready to be used. The video above shows two potentiometers controlling the x & y coordinates of a ball in Processing wirelessly.